Welcome to Day 2 of my week long series showcasing some of our Limited Edition products - only available until the end of November. If you think you might like these products, make sure you don't leave it too late to order! Today's card features some of the beautiful dies from the Snowfall Thinlits die set. 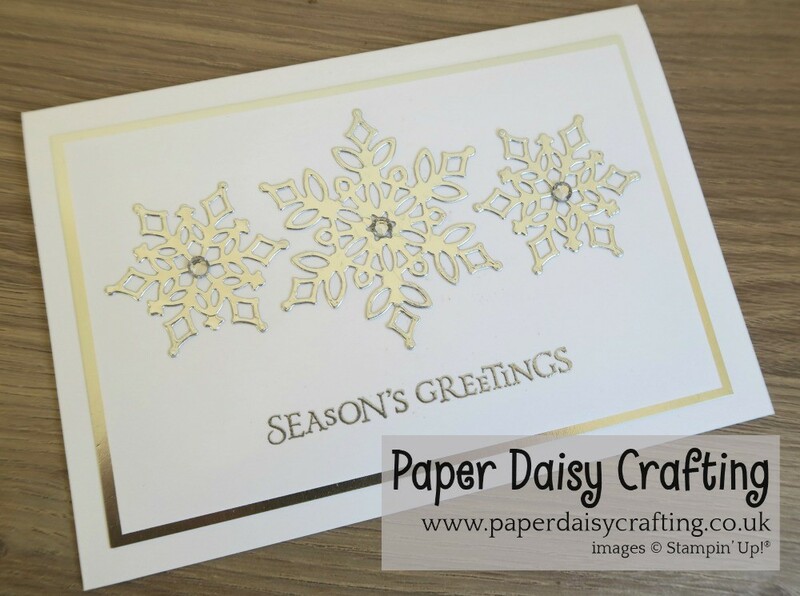 I have used our Whisper White and Silver Foil cardstock to make my card. 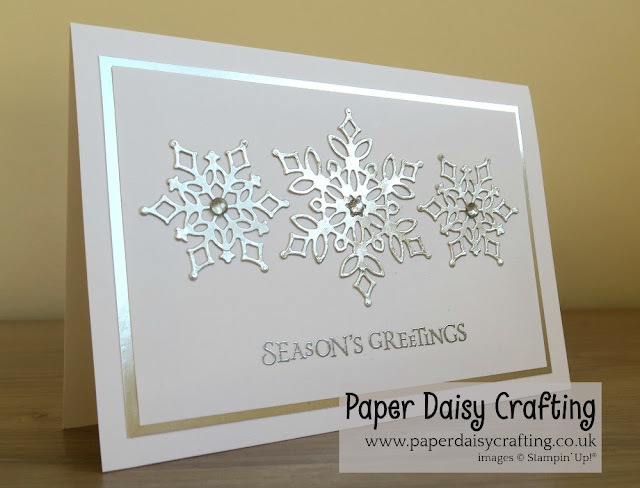 The sentiment is from the Beautiful Blizzard stamp set and I have heat embossed it in silver. 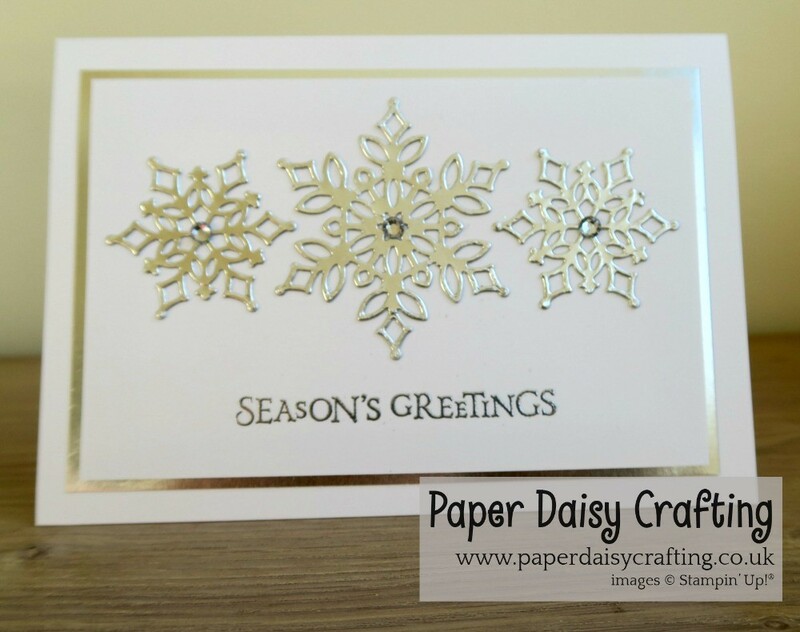 The three snowflakes are die cut from Silver Foil cardstock and finished off with a large rhinestone in the centre of each. I have to say I am rather pleased with this card - very clean and simple but elegant and lovely! Back tomorrow with another project using the Snow is Glistening stamp set.